I want my flowers to overwhelmed, to satisfy and to uplift. When I please a client, it delights me. There is nothing more gratifying than to know that I gave them the feeling that they were expecting. Everyday flowers, Corporate and Special Events, Church Events, Weddings, Birthdays, Photo-shoots, freelance. I am Floral Artist from Nassau, Bahamas and have always loved and have a passion for flowers. It all started one day collecting pieces of cotton and Morning Glory flowers on my daily run. I started to appreciate the colors and started arranging them in my home. Because of my interest in flowers, I began taking different floral design courses abroad. I traveled to London on several occasions to work with a great florist, the late Jaap Bornkamp, and that focus intensely on fine tuning design skills and building designs. I also took several courses at TELEFLORA at their Education Center in Oklahoma, USA. There, I studied Wedding Designs and Ikebana, which was thought by the world known renowned Floral Artist, Hitomi Gilliam. The courses would give me more creativity and understanding of the flowers, their rhythm, their texture, how to care for them and what the latest trends are. It is so gratifying to have the opportunity to raise the bar by learning more and working with other talented people and pushing my limits and broadening my horizons. For me, taking part in courses as often as possible is a most. I feel that it is important to stay ahead with the trends and to keep improving your own standards. All of my arrangements reflect the love I have for nature. I get a lot of inspiration when I go running; I get to see first hand the outdoors, to see how things are untouched, its natural beauty. I like my arrangements reflect nature. Flowers have effects on people, colors are so important, they set moods. Yellows and oranges make you happy; greens and whites put you in a soft subtle mood. Flowers invoke feelings. Balance and texture are very important, and also important, is the container that you put the arrangement in, it sets the foundation of the arrangement. Knowing details about the client and of the occasion, I foresee the end product. I cater to their personalities, in a personal endeavor, an intimate relationship almost. My style is mostly European; I credit this to my travels around the world. 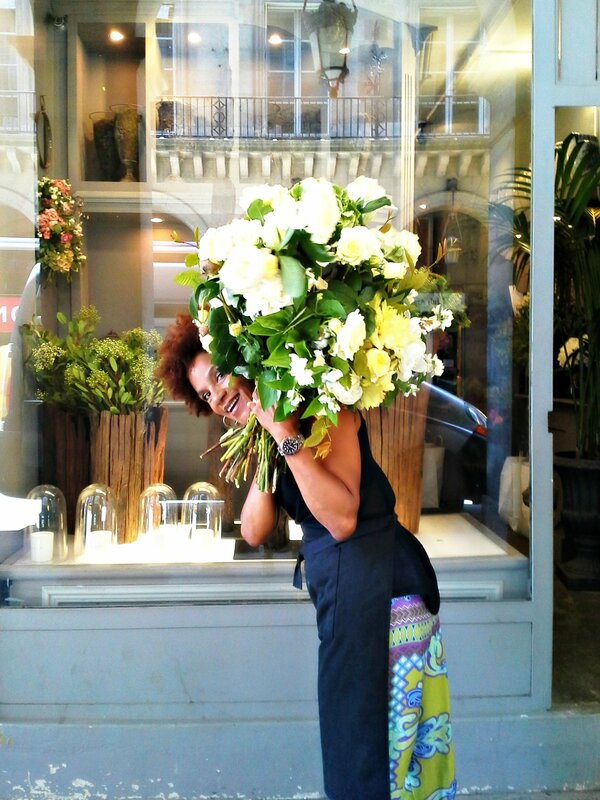 Catherine Muller Flower School – Paris, France.